This has been my best season by far. I have lowered my world ranking in GS to 44th and I’m incredibly happy with that. And in the Olympic list my world ranking is even better, the current list isn’t out yet, but I will be about 32nd, this list is a better indication of where I would be starting in the Olympic games if i am selected. I think my progress is tracking in the right direction. I feel like have been skiing the best I have ever been and it’s really starting to show in my results. The final race for me for the season were meant to be the 4 Mt Hutt Super G I was looking forward to defending my National Super G, ANC Super G and ANC title but unfortunately high winds meant the series had to be cancelled. Right now we are moving into a training block. It has been snowing a lot and it looks as though conditions will be ideal for the next month. Over this time I would like to do more equipment testing and become even faster before the first World Cup October 29th in Solden, Austria. It has been a month of tricky snow conditions. We’ve had lots of snow and warm temperatures so have adapted our schedule to suit. The last two GS series were challenging. We went to Hochficht where I had scored a 2nd last year and had high expectations. Unfortunately I was struggling to find the right line and on a soft flat slope i was bleeding time the whole way down. 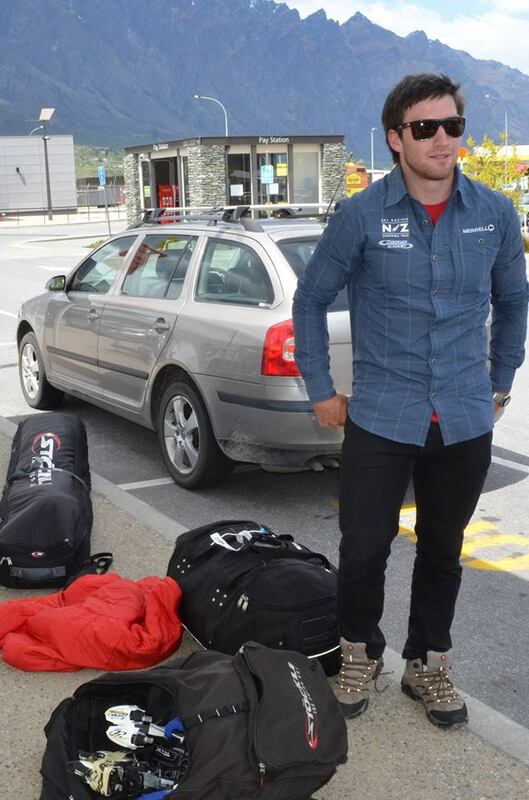 After that we went to Chur (true, bro) in Switzerland for two GS race at Lenzerheide. The first race didn’t go so well. I was in 24th after the first run and then did not finished the second. It was a really tight tough course set with lots of people having similar problems. The second race was much better. I was sitting in 4th after the first run, but the weather didn’t play ball. Heavy snow from the night before and milder temperatures made the course deteriorate pretty quickly and after 40 people went down it was a misty minefield and the race was cancelled. The World Cup at Schladming a couple of weeks ago has been the highlight of my season so far. Even though it was slalom and I didn’t make it very far. Nothing beats the atmosphere of 45,000 crazy Austrians enjoying a winter evening race. Even the World cup Circuit was struggling to hold the races in these conditions. The World Cup GS in Garmisch (GER) was next. I was looking forward to doing this race. I had bib 57, inspected the course then was told that the race was cancelled. One piece of good news was a result of dropping in to the Head factory on the way back from Lenzerheide. I replaced two pair of GS skis and had a good discussion with the boot tech who confirmed my boots were too stiff. He made up a softer pair for me on the spot and I am looking forward to my next races with more confidence. Coming up are some speed events in Saalbach, 2 Downhill and 2 Super G, hopefully there is good weather and we can get these races off! What a season it has been! I was skiing well in training, not especially fast but technically solid. By the time the race came around I felt confident I could execute well and could aim to go faster. It was back to New Zealand for the ANC Finals, I scored a career and another NZ best Male result ever 10.21 FIS points in Giant Slalom. As you can see it has been a very successful year for me where all my world rankings have lowered considerably. I should be ranked about 80th on the next points list in GS. I’m planning to compete in a few Europa Cups and 5 world cups this season. Until then its a lot of gym and work to put me in the best shape possible. My training began in November with summer conditions and limited snow. 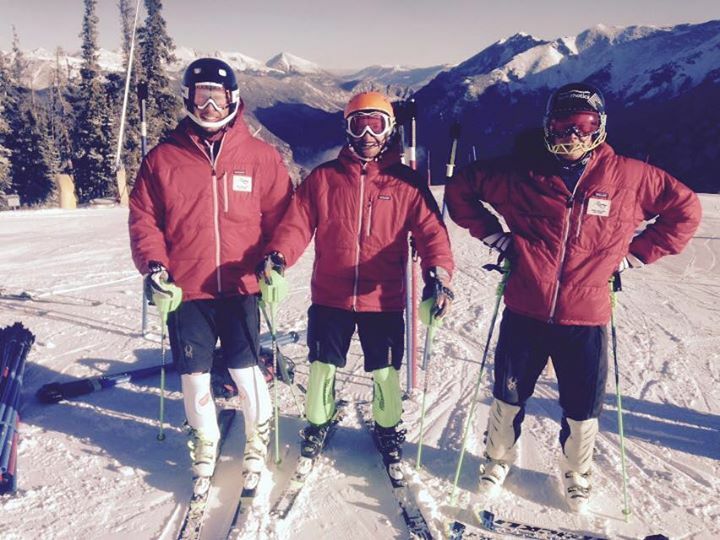 In December, the Nor Am race series in Aspen, US began unsuccessfully for me. The speed series followed in Lake Louise, Canada on a more successful note. I finished 21st in Downhill, lowered my FIS points and therefore my world ranking. In January, my 2nd phase of training improved, along with snow conditions. I came 3rd in GS in 2 consecutive races, then a 1st and 2nd place in 2 DH races. This was good preparation for Beaver Creek. I qualified to race in all 5 events: DH, SG, Combined, GS, and SL, with Downhill needing official training and the technical events qualifying races as over 150 entered. So in all I had 7 races. Beaver Creek is above 8000ft. The DH course, ‘Birds of Prey’, starts at over 11,000ft. It was in perfect condition-fast, icy and steep enabling speeds of over 120km/hr. It finishes with 3 big jumps, the last one finishing at the grandstand holding over 10,000 spectators. At the start gate of the SG I could see the spectators in the stand between my ski tips. It was steep. I was the 1st and only kiwi to finish the DH, in 40th position. [5 secs out from the gold medallist, but 5 secs closer than 2 yrs ago]. In the Super combined (one downhill run followed by a slalom run) I finished 37th, again the first Kiwi in this event. These two results were the highlight. I crashed out of the Super G and although did well in the qualifying race for GS did not finish in the final event. I am grateful to have had this great opportunity to participate at the World Champs. Since the world champs I have been based in Austria. We plan to do some races around Central Europe where I can hopefully lower world rankings. It was the usual dance at the airport. We were trying to get away with an exorbitant amount of excess luggage (each with 3-4 ski bags, a clothes bag) and the airline trying to make as much money as possible. But the NZ National team made it to colorado with no major hiccups. It has been a eventful season this year. I have been skiing really fast in training and usually one run in a race, now i’m working on stringing two good runs together, I feel like I can do it and its just a matter of time. This Season I became the National GS champion. After the race I was doing some quick calculations in my head and was hoping to get in the teens. Unfortunately FIS changed the calculations and this meant i scored a 21.95 which is currently my second best ever FIS result. I also lowered my slalom points with a 21.51 point slalom result, which is really good for me. This will put me into the top 500 rank slalom skiers and if i can get a second result it means i will go into the top 300 for everything, which is always something i have wanted to do.